If you’re looking for an easygoing night out, complete with live music and some finger-lickin’ good comfort food, I’ve found your place. 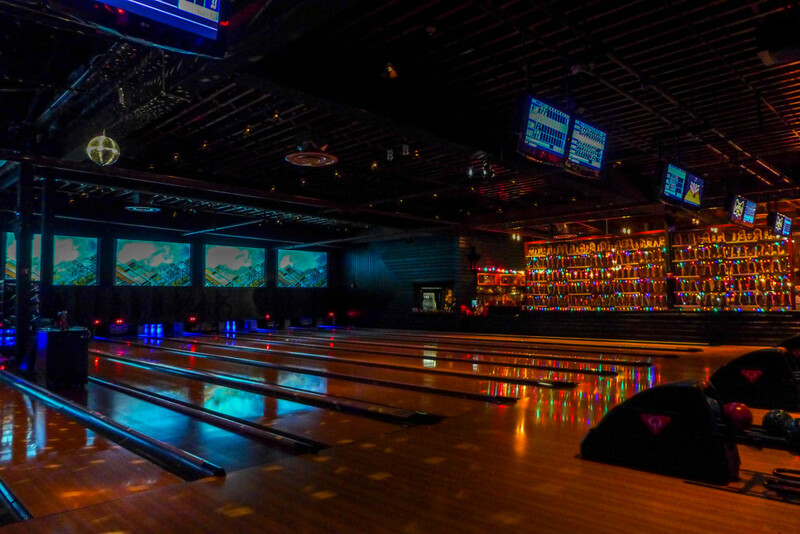 I was a fan of the huge space, which is decked out with retro art, bowling memorabilia and pitch-black lanes lit up by neon pins. I wasn’t, however, a fan of the $17 cash entry fee (it was Friday night and the cost was cover for the band) but the rest of the evening was more reasonable, mostly because we had a large group: we split the $25 lane between eight of us on top of $5 each for shoes. As we played, we were entertained by a great band called the Everyone Orchestra. Its collection of musicians and singers were led by a conductor decked out in a snazzy long jacket who scrawled instructions on a white board then waved it at the band. It was like one long jam session, and it had everyone moving. 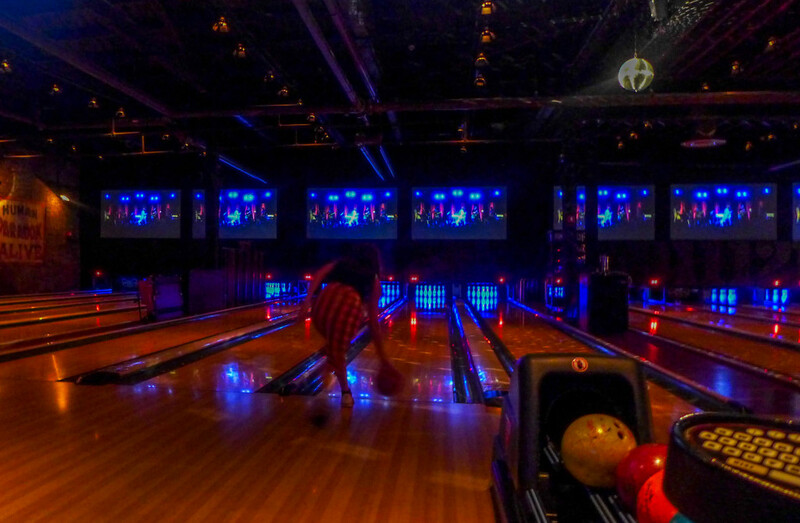 And despite their close proximity to the bowling area, we were able to dip out of the music and back into our game without being disturbed. 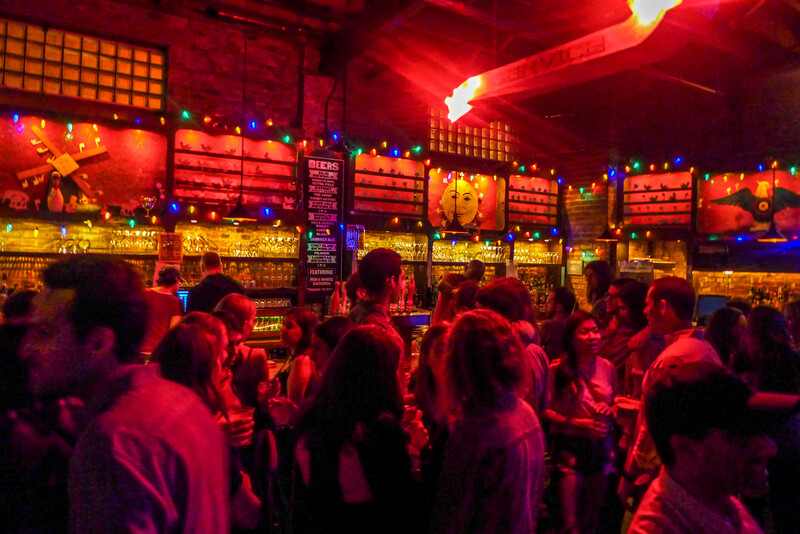 And – probably because I was the only one not working my way through the craft beers on offer – I managed to break 100… and everyone else’s morale. Successss. 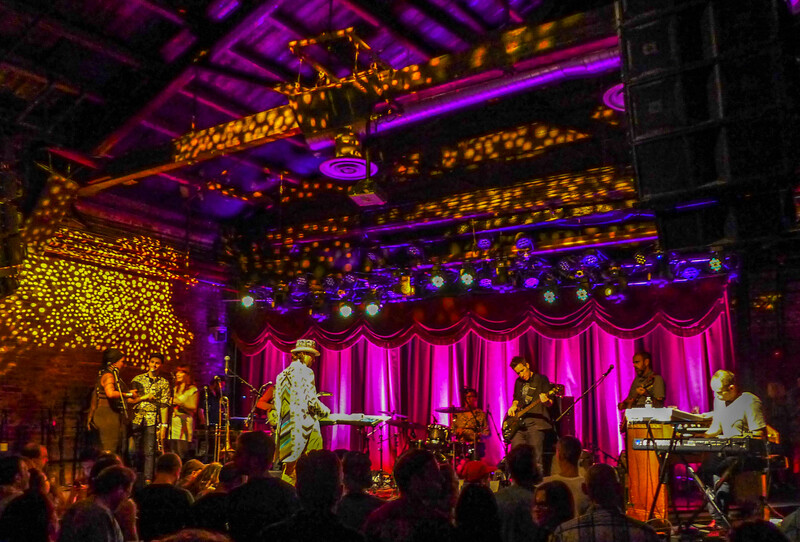 If you want something different to do on a Friday night, Brooklyn Bowl is a great casual spot with plenty of space, a wide variety of music and plenty of beer. And just look at those snacks! 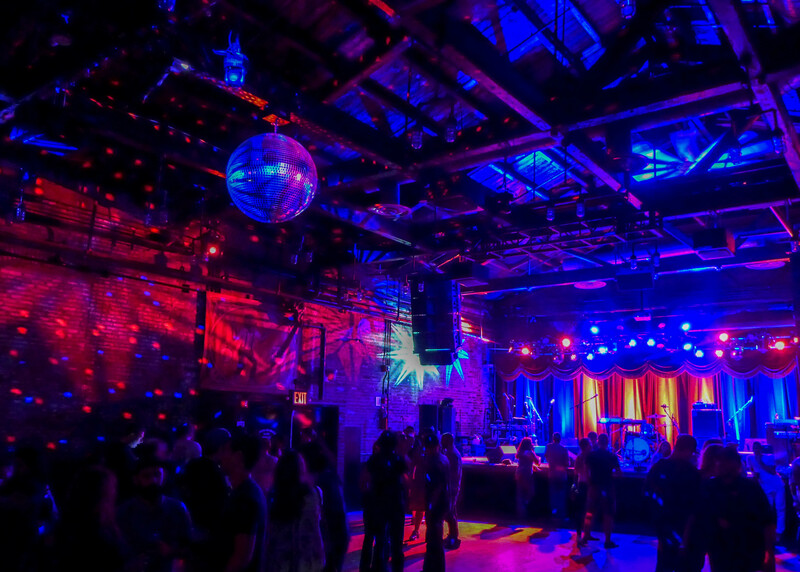 Brooklyn Bowl is at 61 Wythe Avenue in Williamsburg, Brooklyn and houses 16 bowling lanes and a stage for live music. We were able to secure a lane around 9pm on a Friday night without any reservation or wait. See here for their calendar of music. It opens at 6pm Mon-Friday and at noon on the weekends. 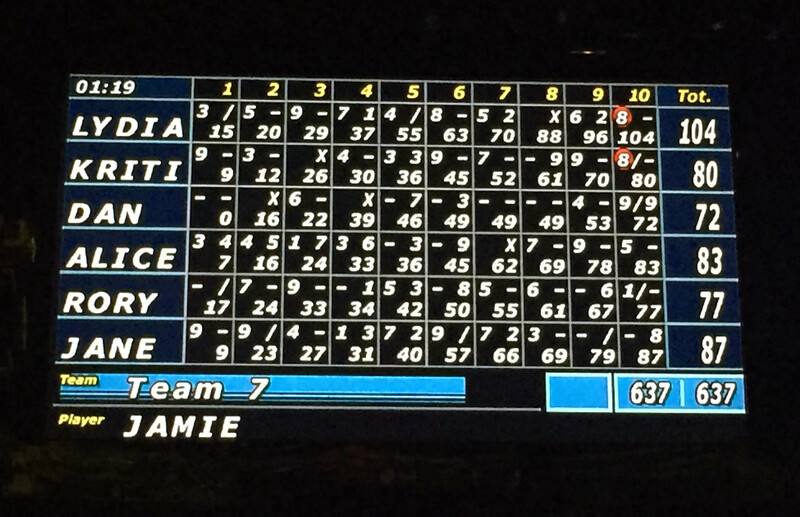 Yeah it was v cool — Brooklyn does its bowling alleys well, I think. I love that old fashioned place, Gutter, which is just around the corner from here. I am so jelly! So many people I know have been there and yet it’s the one place I have had a chance to go to. Looks so fun! I meant, not had a chance! 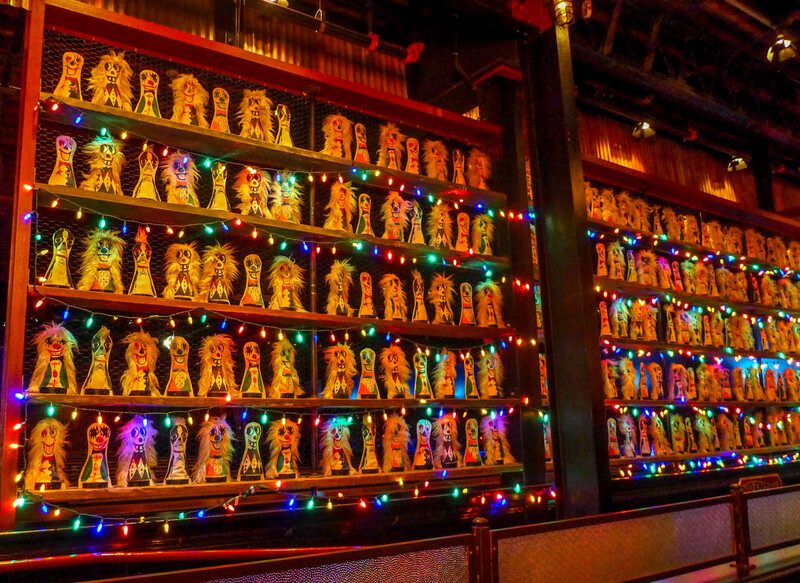 Yeah it’s definitely a good one to try — and a fun spot to take out-of-towners too! Yes, it was great to do something different! 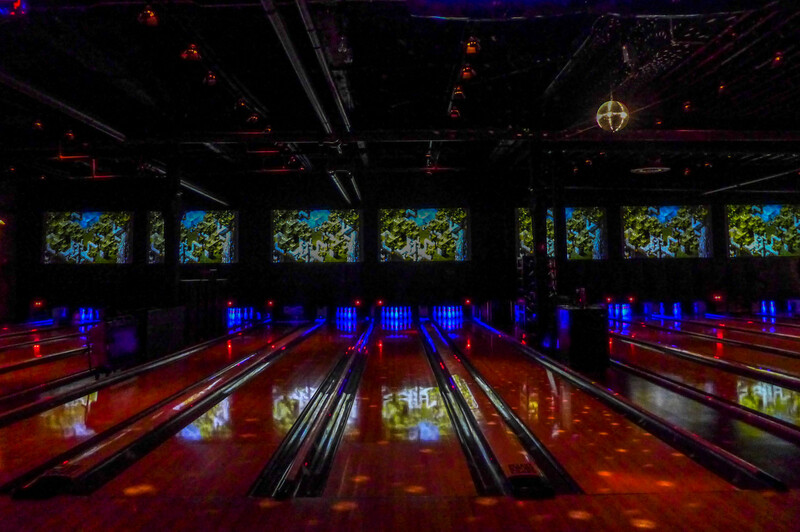 I’ve never actually bowled at Brooklyn Bowl, but I have enjoyed concerts there! 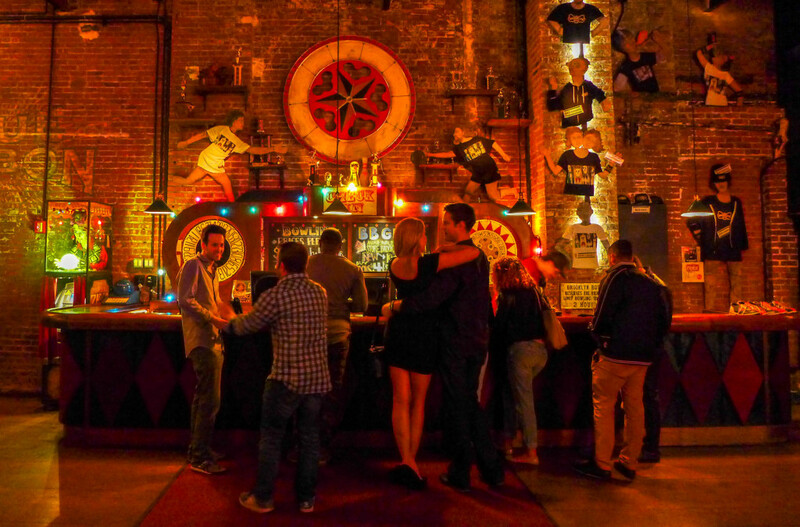 I love how multi-purpose the venue is, each corner has something different- bar/restaurant/bowling alley/stage. Good you mention you have to pay for the band, even if you’re not there for the band! I wouldn’t have thought of that. I imagine that’s less of an issue on weekdays. Yeah I imagine so — and $17 was pretty steep seeing as we weren’t there for the music. But the music was great and it definitely added to the experience, so they’re forgiven!